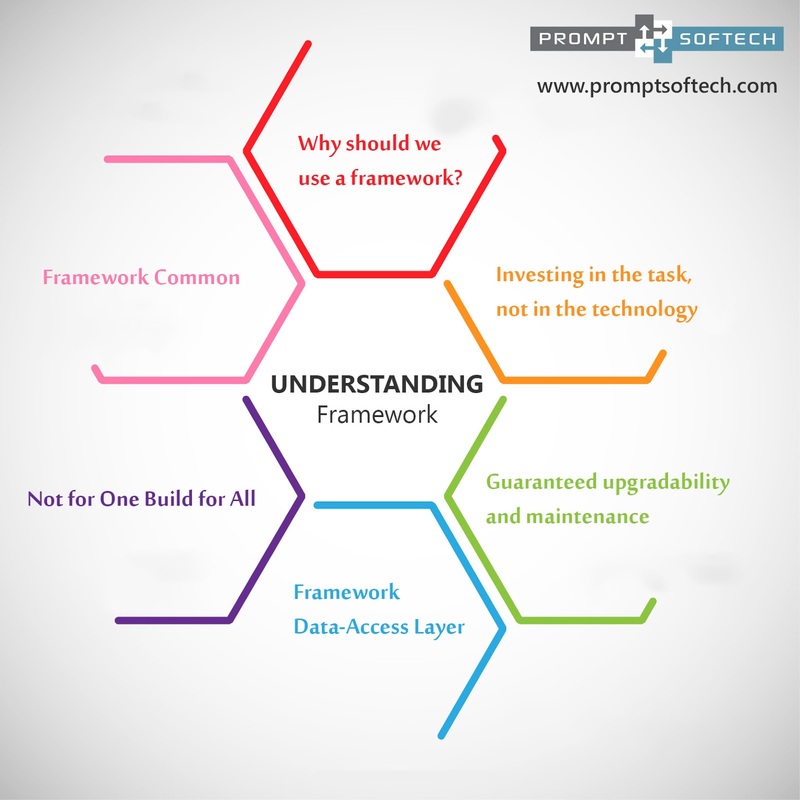 Why should we use a framework? It is not just “tool” but a “coding science” which is available to help you develop better and faster! It provides the certainty that application is in full compliance with the business rules, is structured and is both maintainable & upgradable. Faster, because it allows to save time by re-using generic modules in order to focus on other areas. Without, however, ever being tied to the framework itself. Basic principle of a framework: Not to reinvent the wheel. We, PROMPT SOFTECH Developer Team believe in it., and doing away with foreboding, low value added tasks in order to fully focus on the business rules. As an example, a framework will keep the developer from having to spend 2 or 3 days creating an authentication form (which is not a specific task). giving you solid, sustainable and high quality code. In the longer term, a framework ensures the longevity of your applications. If a development team works as they please, only that particular team will be able to maintain and upgrade the application with ease. The way that a publisher supports a proprietary solution. to maintain it over time and to upgrade it both quickly and neatly, whenever necessary. In this regard, a framework is not a black box! In the case of Prompt, it is still .net…and they are natively inter operable with any other library. Our main aim behind this just not restrict the usability of framework only with developers team but for all teams support and QA team also. Anyone can play and build and integrate their automation development stuffs with it. Have common way to implement development methodologies like encryption, network securities, authentication and authorization, exception handling, general development methods for type handling and configuration information of application. All database related functionality like Query processing , Database column ordinals mapping , connections, exception handling, indexing , paging ,sorting, all crud operations for all database. Create Business logic , Data Access (which contain factory and repository) and Entities related to application. That’s it, Framework will manage all operations with database without any error and failure of code.